The normal skin type is smooth, unblemished and evenly toned. Women with this skin type are blessed as they hardly suffer from breakouts and other skin problems. The dry skin usually appears flaky and feels rough to touch. It is quite a problematic skin type as wrinkles tend to develop early and dryness tends to intensify with age and weather conditions. The good thing about this skin type is that pores are almost invisible and women with this skin type hardly have breakouts. The oily skin feels greasy which makes it prone to breakouts, blackheads and other skin problems. The plus side with the oily skin is wrinkles do not appear prematurely and it maintains its elasticity longer than other skin types. This is my skin type and I know most women fall under this skin type. The combination skin combines the features of both the oily and dry skin. 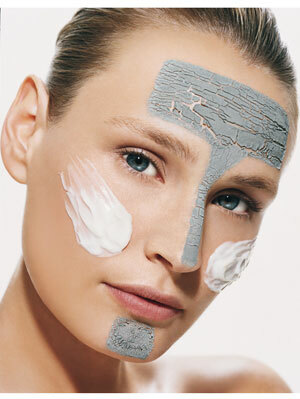 The T-zone is the oily part while the cheeks are the dry part of the skin. The sensitive skin can be dry and or oily. It usually feels flaky, itchy or bumpy. 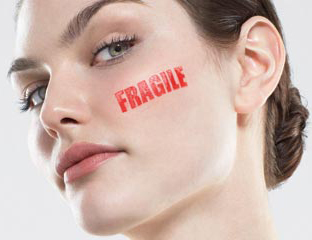 Women with sensitive skins usually have underlying skin problems like dermatitis, eczema, psoriasis and so on. These skin conditions can be treated with the right products and medication. Whatever your skin type is, whether it is normal, dry, oily, sensitive or combination skin type, you can encourage it to its maximum protection by using the right skin care routine every day. 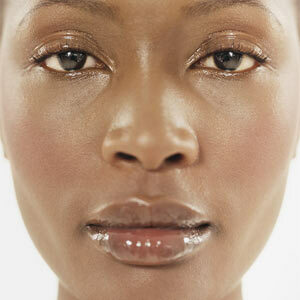 Sometimes, your skin type may change due to age, weather or skin care regime. Next week I will be writing on skin care routines for the various skin types so look out for that post.